A lecturer once told Renee Di Giuseppe not to automatically assume someone is drunk if they are stumbling down the street; for they could quite possibly be having a hypoglycaemic attack... Since then, the four factors that can cause an altered state of consciousness have stayed with her: sugars, sedation, seizures, and stroke. 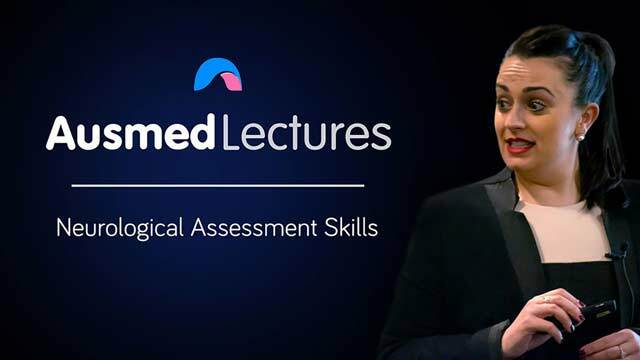 Join Renee for this easy-to-understand refresher on how to conduct a comprehensive neurological assessment - a cornerstone of clinical nursing practice. Renee Di Giuseppe is a registered nurse: critical care who holds a master of health science (critical care). She works in the intensive care unit of a large public hospital in Melbourne. Renee has a great passion for nursing and enjoys presenting regularly for Ausmed Education. Renee holds valuable experience as a clinical teacher for undergraduate nursing students and has extensive experience as an ANUM, an acting NUM within the intensive care unit. Lecturer needs to be more confident and less hesitant in what she says. seems a bit short.. surely her session was quite a bit longer?